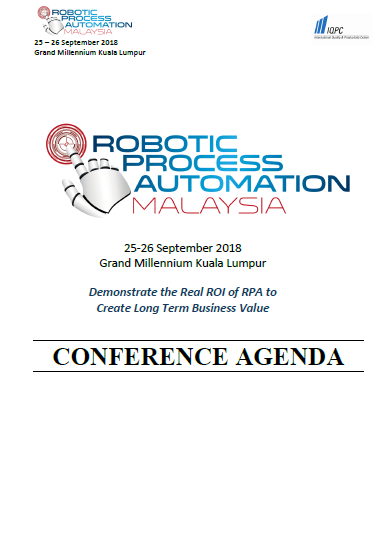 Our highly acclaimed RPA series is coming to Malaysia on 25-26 September 2018! Join us at the inaugural Robotic Process Automation (RPA) Malaysia Summit 2018 and find out how you can fully maximise the potential of RPA in your organisation – from process automation, getting buy-in to enterprise-wide implementation. Download our final agenda today!